If you’re someone who’s interested in taking your family on adventures to unknown places, consider Uzbekistan for your next vacation. 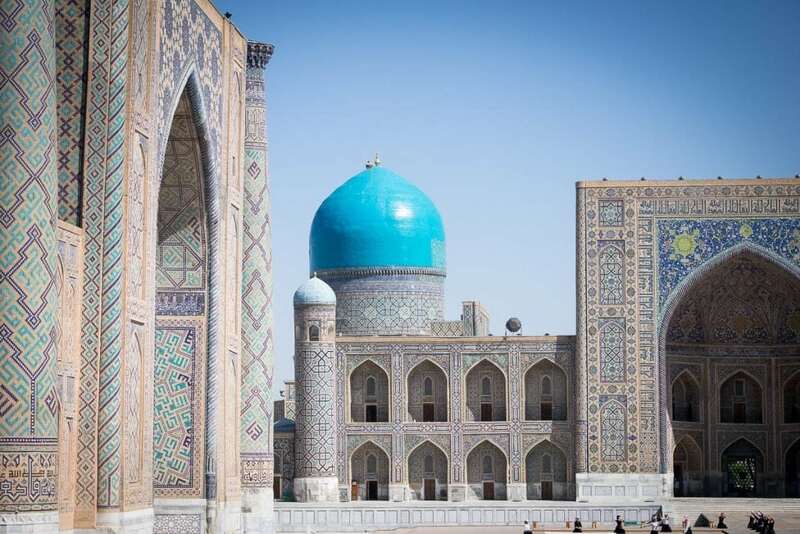 This Central Asian country is home to beautiful architecture, interesting bazaars and an enchanting desert landscape. 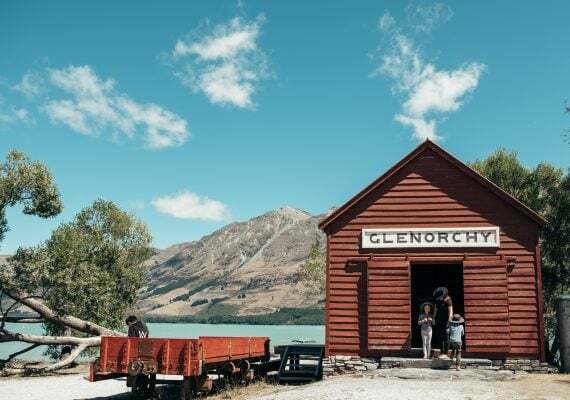 Don’t worry if you don’t know anything about the Silk Road for kids—nugget contributor Kyla Hunter has traveled this beautiful country and given us the highlights. 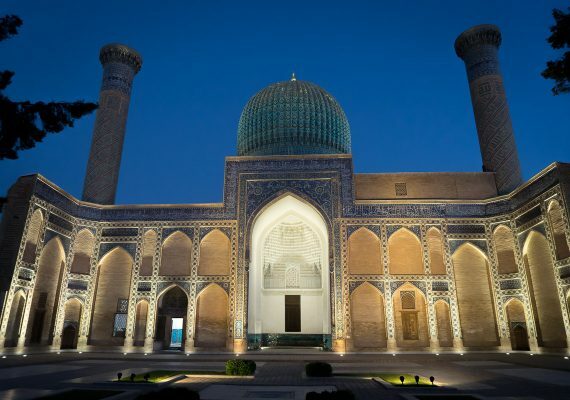 Here are the best places to visit in Uzbekistan. Spring or fall, as it gets very hot in the summer. Per the CDC, no special vaccinations or medications are required. In order to enter a mosque, you must remove your shoes. Women must cover their heads. 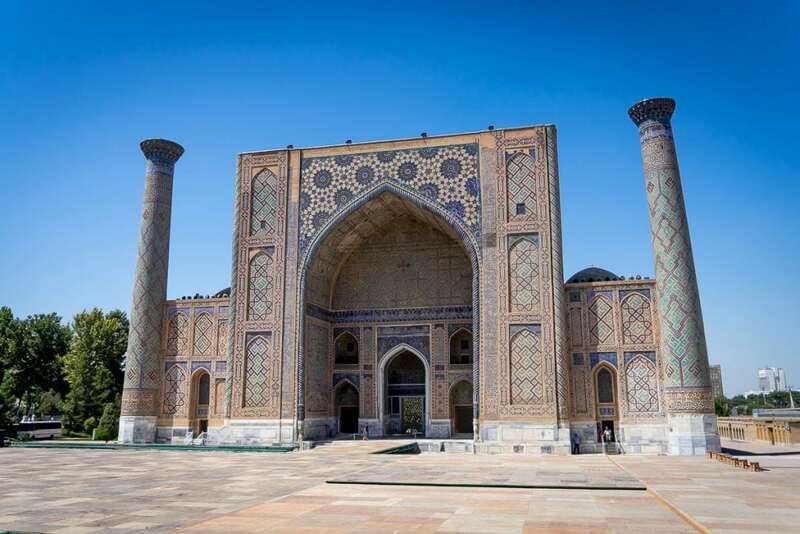 As you begin your exploration of Uzbekistan, it makes sense to start with the capital and largest city, Tashkent. 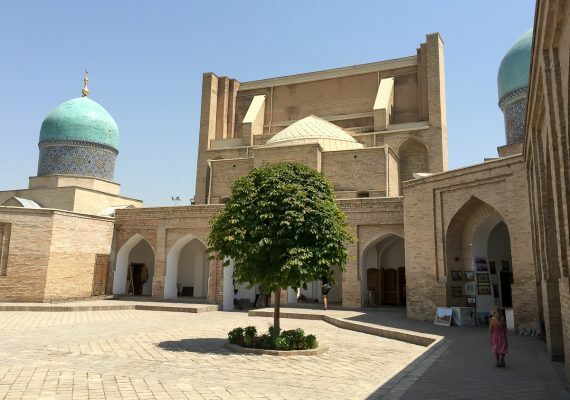 Head to the Hazrati-Imam Complex, where you can get a taste of the city’s new style of architecture (an earthquake in 1966 sadly destroyed many of Tashkent’s ancient structures). If you decide to go inside the mosque there, be sure to cover your head (if you’re a woman) and remove your shoes. Then go to the Chorsu Bazaar and see a slice of everyday life. You’ll find local Uzbeks doing their grocery shopping, and will have the chance to try the wares yourself. Vendors are usually happy to give out samples, especially when you’re traveling with kids. 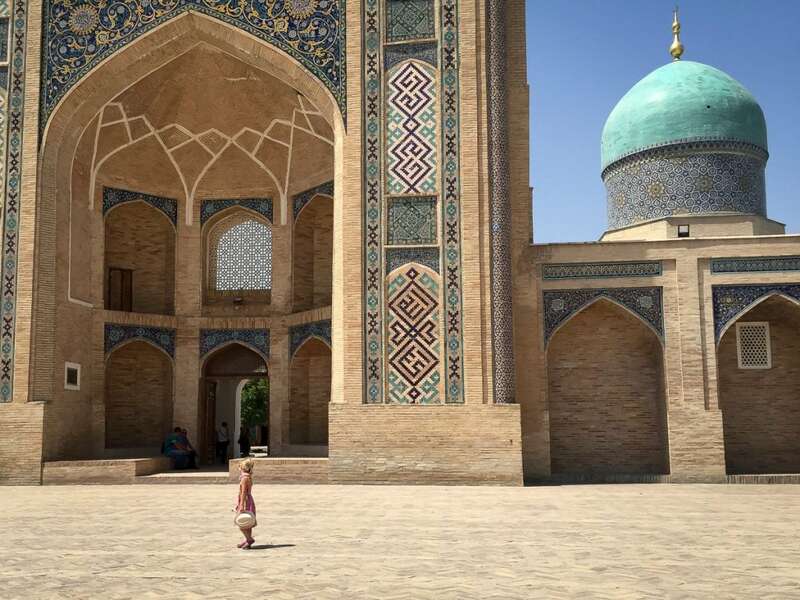 This mini-adventure will tell you everything you need to know about Tashkent with kids. 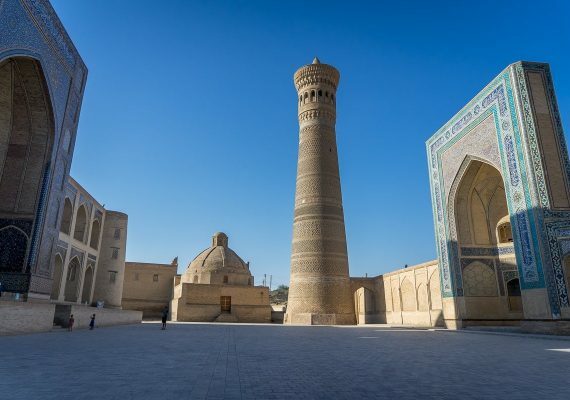 No trip to Uzbekistan would be complete without learning about its integral role as part of the ancient Silk Road. Samarkan is an UNESCO World Heritage Centre and is home to the gorgeous Registan Mosque and Timur Mausoleum. 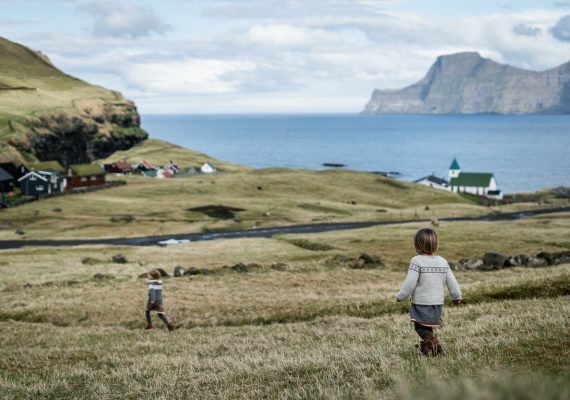 Both sites are easy to visit with kids, and offer stunning photo opportunities. There’s even an indoor playground near the Registan where kids and parents can cool off and take a break from sightseeing. 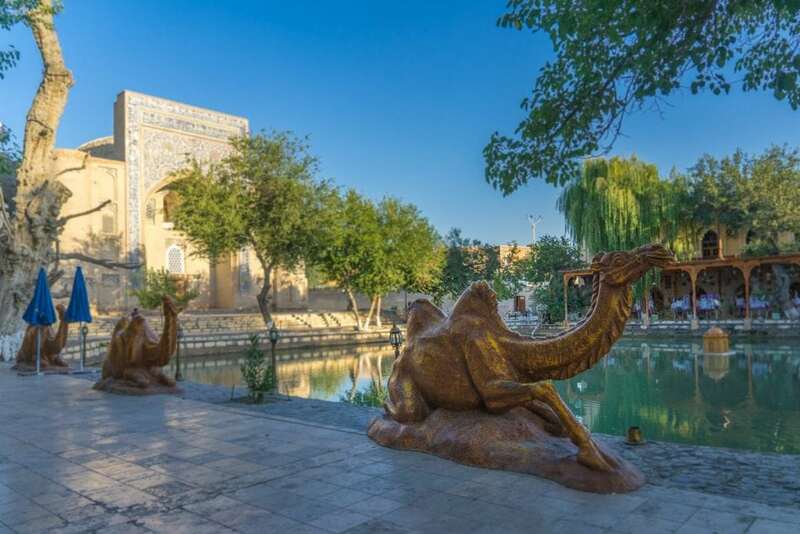 A trip along the Silk Road for kids should include a stop in Bukhara. 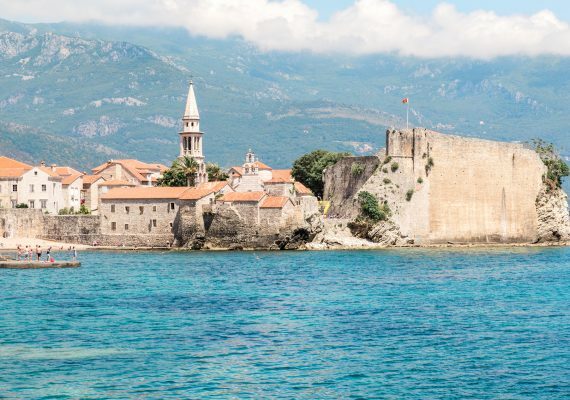 This 2,000-year-old medieval city is also an UNESCO World Heritage Centre, and is home to over 140 architectural monuments. Some highlights include the Kalyan Minaret, Samanid Mausoleum and the Ark of Bukhara. 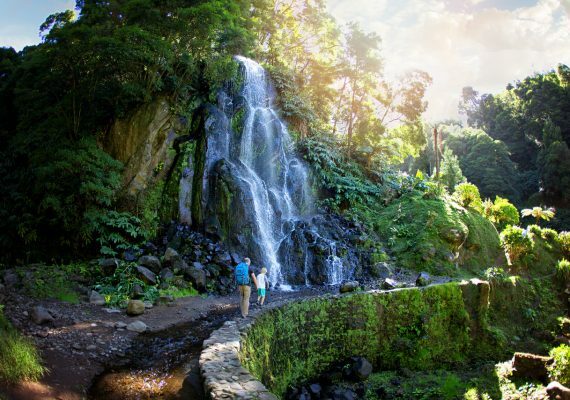 Once you’ve checked out the sites, relax in Lyabi-Hauz. This shady spot has plenty of seating where you and your family can cool off with a cold drink or an ice cream cone. It’s the perfect way to wrap up a day of exploring Bukhara! Interested in more ways to explore the Silk Road for kids? Check out this mini-adventure in Kashgar, China.